In 1851 at Wesleyan Female College, a tradition of excellence was established when Eugenia Tucker and her circle of friends set out to unite college women in the bonds of sisterhood. This tradition of excellence continues to be maintained through our alumnae members, who through their involvement within their individual associations, illustrate the principles upon which we were founded. 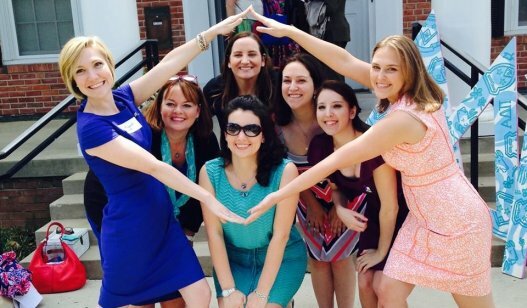 Are you missing the close friendships and special memories you made while an Alpha Delta Pi collegian? Would you like to reconnect with sisters to share past memories and make new friendships? Are you in an area with no alumnae association nearby? Starting an association is easier than you think! And there are sisters available to offer their help. It only takes five members to start an association. New and reorganizing associations receive assistance from their district alumnae team and from Executive Office. More information about starting an association is available in Pride Online. Download an Alumnae Association Charter Application.